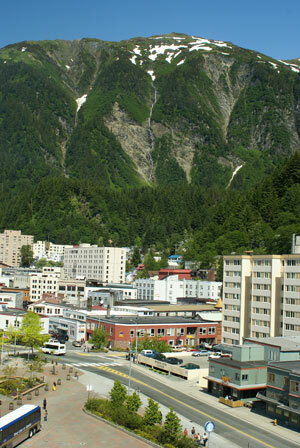 Juneau is home to over 32,000 residents and is the capital of Alaska. There are numerous effective advertising opportunities throughout Juneau including competitive billboard rates near the University of Alaska Southeast. Another out-of-home advertising opportunity is the Perseverance Theatre in downtown Juneau which is Alaska’s only professional theatre. There is a perfect opportunity for billboards along the growing highway system around Juneau. Billboards on the roads connecting to Skagway and Haines, for example, will generate high traffic exposure of your business. Zip Codes: 99801, 99802, 99803, 99811, 99850.